On the whole, I think Destiny 2 is in a pretty good state. There are a great variety of activities to do and pursue, the new exotic weapons are all pretty fun to use, and randomized rolls on gear means you're once again chasing after your "god rolls." That's not to say that there aren't some issues still - like everything with enhancement cores and leveling/masterworking gear, and getting all your powerful gear for just a couple slots - but I know that if I've only got 20 or 30 minutes to spare, I can hop in and get something done that feels like progress. That being said, I'm kind of split on the new content. In some ways, parts of "Joker's Wild" feel like a kind of test ground for future content. Gambit Prime is a refinement of the original Gambit mode that came with Forsaken where greater coordination is required to succeed. Part of that coordination comes from the roles (Invader, Reaper, Collector, and Sentry) that players can take on via the armor you'll earn from the new game mode, Reckoning. Each piece of armor has a modifier on it (plus 1, 2, or 3) that will grant you new perks/abilities in Gambit Prime once you accumulate enough points. For instance, if you have two pieces of gear with "plus 3 Reaper" on them, then you'll get two new perks in Gambit Prime (mark yellow bar enemies and make them weaker, and multikills drop special ammo for teammates). The way you get this gear is by collecting synths, which are earned by completing bounties from the Drifter and just playing Gambit Prime, using a new inventory item ("Synthesizer") to turn the synths into motes for specific armor roles (i.e., use "Sentry Synths" to make "Sentry Motes"), and feeding those motes into a machine at the start of a Reckoning match. If you successfully complete a round in Reckoning, your reward will be a piece of armor. This creates a loop of playing Gambit Prime to get the synths, getting armor in Reckoning, then going back into Gambit Prime to get more synths/victories/whatever. It's an interesting loop, but it's also a very closed loop. The only thing you're getting from it is gear to use in a specific activity, which is great if you enjoy Gambit Prime, but a bummer otherwise if you were hoping to get something else out of Reckoning. The armor itself is reminiscent of the raid-specific perks Bungie used to put on the armor you earned in raids in the original Destiny, something that has been absent throughout Destiny 2 as raid armor has no special perks. To that end, the new Gambit Prime armor feels like a kind of prototype for "set armor," which could have a bigger impact on the game as a whole if they ever implement it. If the armor also granted some kind of boost in Reckoning (which is really fun), then it would feel a little better. However, with all that's been shown/revealed thus far, it seems like this is all we're getting out of these two modes. Outside of that, though, there's some interesting movement on the the lore/story front that comes not only from new lore books but also the new "Allegiance Quest." 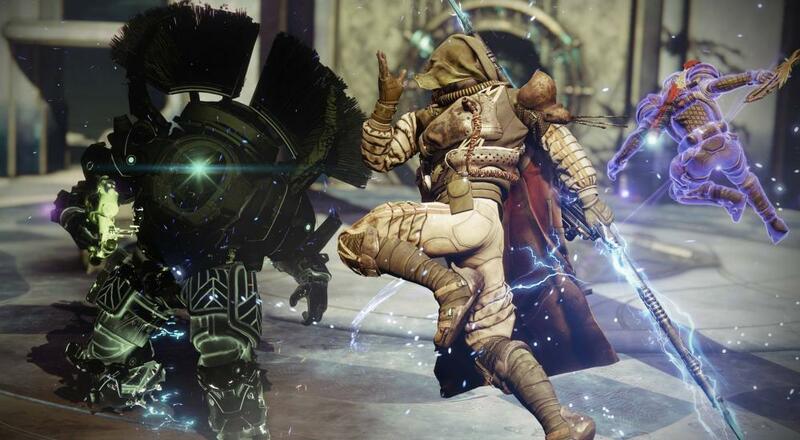 Without spoiling too much, Bungie is starting to blur the previously clear cut lines of "good vs evil, light vs dark" that we've seen thus far. There are some bits of dialogue during the Allegiance Quest (regardless of which side you choose) that adds a new perspective on all the history we've been given thus far. We also get a little more with the mysterious group known as "The Nine" via the "Invitations of the Nine" bounties from Xur. I love lore in games and some of my favorite stuff from the original Destiny was all of the backstory on the Hive, which could only be read via the grimoire card entries outside of the game, and so I'm eating all of this up and looking forward to where they're taking it. So, is the Annual Pass worth it with all the content released thus far? I think so. I also think the way they're rolling this stuff out over the course of a few months per season instead of everything at once is better and gives you more of a reason to hop back in every week. Season of the Drifter may not be the strongest compared to the Season of the Forge, but getting both, plus the upcoming "Season of Opulence," is a pretty good deal. Destiny 2 is available on PC, PlayStation 4, and Xbox One. Three player online co-op is supported in most activities in the game. The Reckoning supports four player online co-op, while raids support up to six players. Page created in 0.5037 seconds.